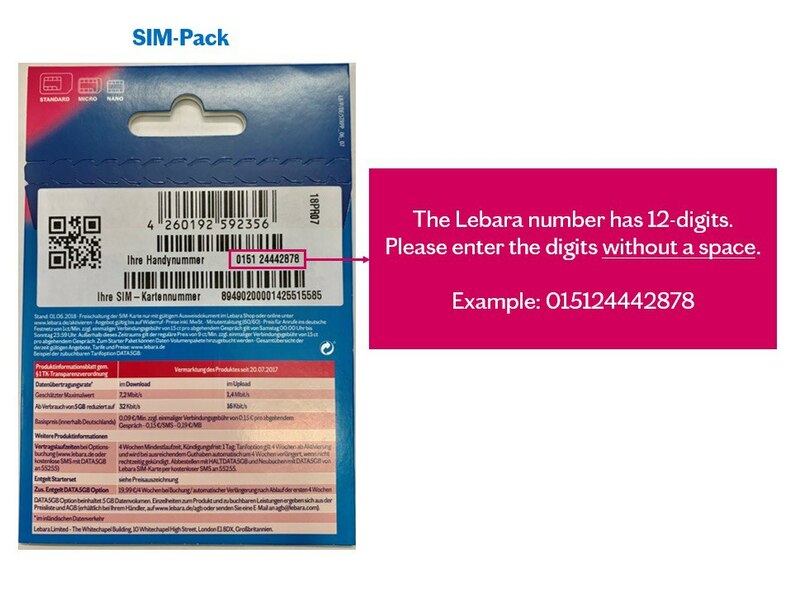 You can find your mobile number on the back of the SIM card packaging or on the welcome letter. 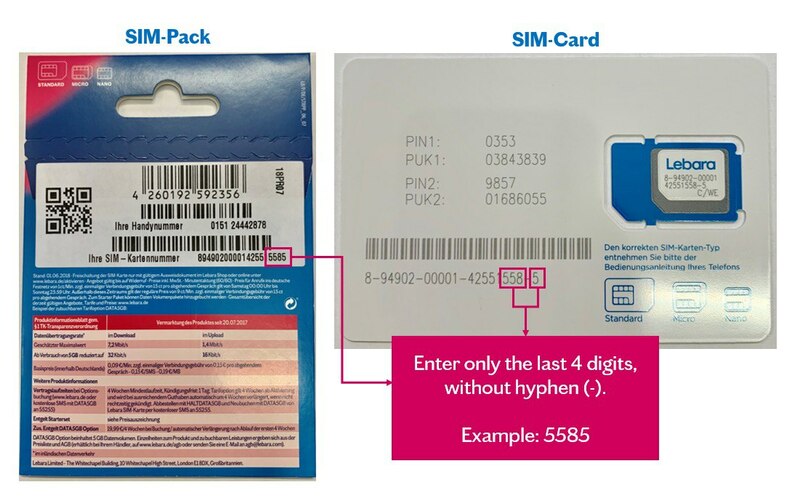 You can find your SIM card number on the back of the SIM card packaging or on the welcome letter. What kind of valid identification document do I need? For online registration via video call, you need a valid passport or ID document. You can carry out online video registration for specific countries and ID document types. Please find the supported countries with identification types for the WebID video call listed here. Why do I receive a transaction number by WebID? What kind of Internet connection and lighting do I need to activate my SIM card online? Please ensure that there is good lighting and a stable Internet connection so that your registration can be carried out through video call. What kind of webcam do I need? You must show your ID to the webcam during the video call to confirm your identity. You can use an iOS/Android-enabled device to register via the app. The minimum resolution required to activate your SIM online via webcam is 640×480 pixels. What languages are supported for the activation? The video call is carried out in German, English, Polish and Romanian.